Gov. Mitt Romney, whom I strongly support, got himself in trouble this week by saying something very similar — that 47 percent of American households don’t pay income taxes, and thus they won’t be voting for him. For most conservatives, this statement is a “truism,” and they want Gov. 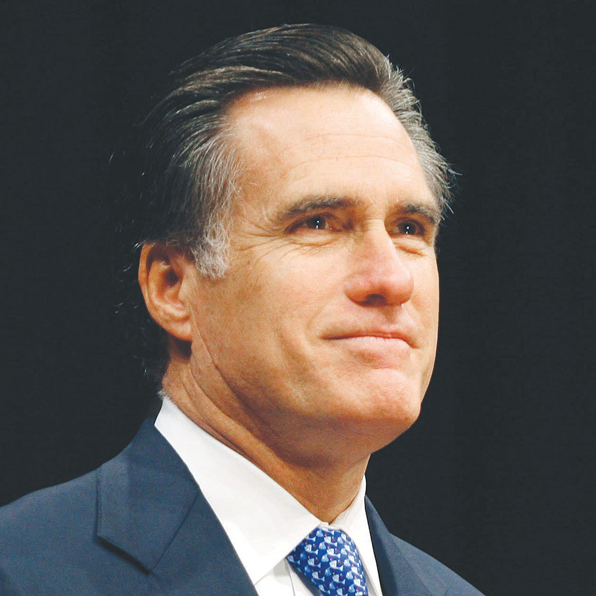 Romney to “stick to his guns” and not back off. But there are many problems with Gov. Romney’s statement. First of all, it is premised on the idea that people who pay income taxes are conservative and those who don’t are liberal and will vote Democratic. This is a concept, which might be called “economic determinism” — namely that your political behavior is determined by your income level, whether you pay income taxes, and whether you get a check from the government. A lot of “economic conservatives” think this way, and they see the world as driven primarily by issues involving money. But that viewpoint is manifestly flawed. It ignores the fact that human beings are very complicated and make their political decisions for a variety of reasons. For example, many voters are primarily “social conservatives,” who make their voting decisions in large part based on issues such as abortion and traditional marriage. For these voters, income levels and income taxes have less to do with how they vote. In fact, lower middle income voters tend to be the strongest pro-life supporters, and they very often vote Republican even if they pay no income taxes. Second, among the 47 percent who “pay no income taxes” are the retired people on Social Security who paid taxes all their lives. They tend to be very conservative and often Republican. Do they suddenly change their voting patterns simply because they’ve retired? Of course not. Ironically, nationwide, the poorer counties in America are generally the most reliably Republican. The Wall Street Journal reports that the so-called Tractor Counties (rural, agricultural) in America (median income $33,000) and the Evangelical Counties (socially conservative) nationwide (median income $31,000) have given Republican candidates a 22-point margin since 2000. Another point: When conservatives say half the households in America receive a check from the government and the future is hopeless, we should ask ourselves another question: How many of those households also have someone in that household working and paying taxes? How many of those households include a business owner? Just because grandma, who lives at home, is on Social Security or the family includes a special needs child who receives government assistance doesn’t mean that family is voting Democratic. Republicans, especially economic conservatives, should open their eyes and realize many millions of Americans will vote with us, even if they’re not making enough money to pay income taxes and even if someone in their household gets a government check. Fortunately, politics is a lot more complicated than that, and we can win many of these voters to our side, if we don’t write them off.